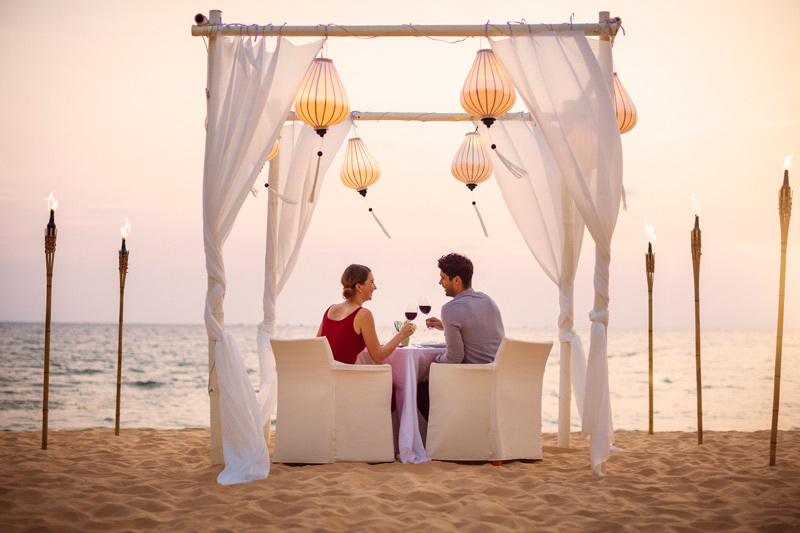 La Veranda Resort Phu Quoc MGallery by Sofitel is not your average beach resort. 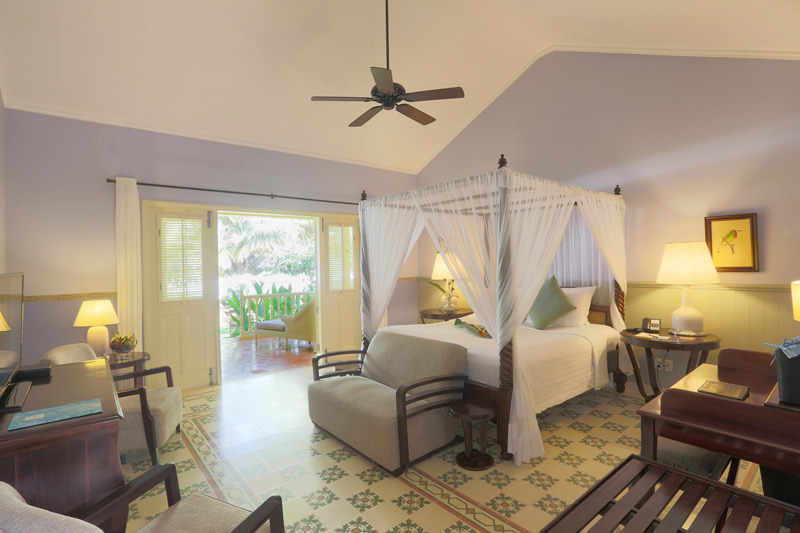 Imagine a picturesque French colonial style manor house perched on the edge of a white sand beach. 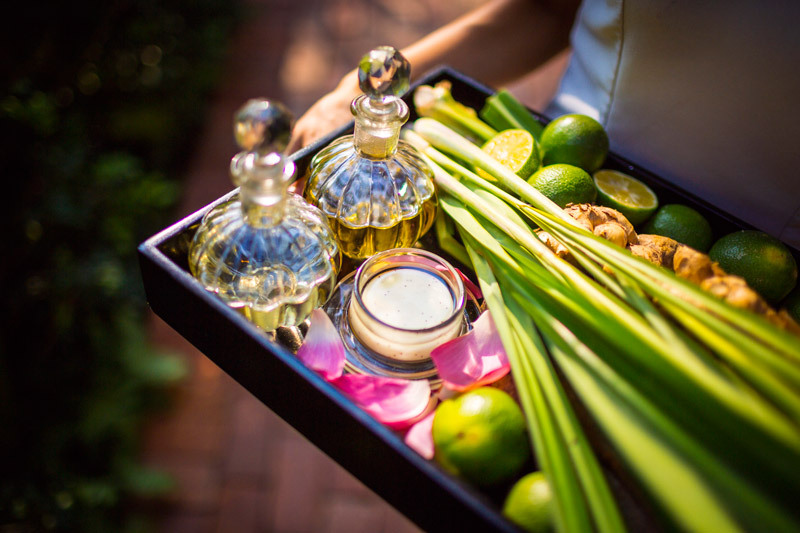 An inviting scent of lemongrass wafts from the resort’s tropical gardens as the staff hurries over to bring you cooling hand towels and pandan-infused ice tea. An endless horizon of clear blue ocean and sky awaits you. The tones seem softer here, the days simpler; time has slowed down to island speed. From the moment guests arrive at La Veranda Resort they are immersed in an unforgettable journey of the senses. La Veranda Resort accomplishes something that is difficult to do in these days of high-speed development and cookie-cutter condos; it is a truly one of a kind, 5-star boutique property that focuses entirely on the guest experience. Part of the Accor hotel group’s MGallery collection of hotels, which, according to their website “combine high-end luxury with unique culture and history”, La Veranda Resort is a heritage property that will appeal to those who want to experience the world differently. 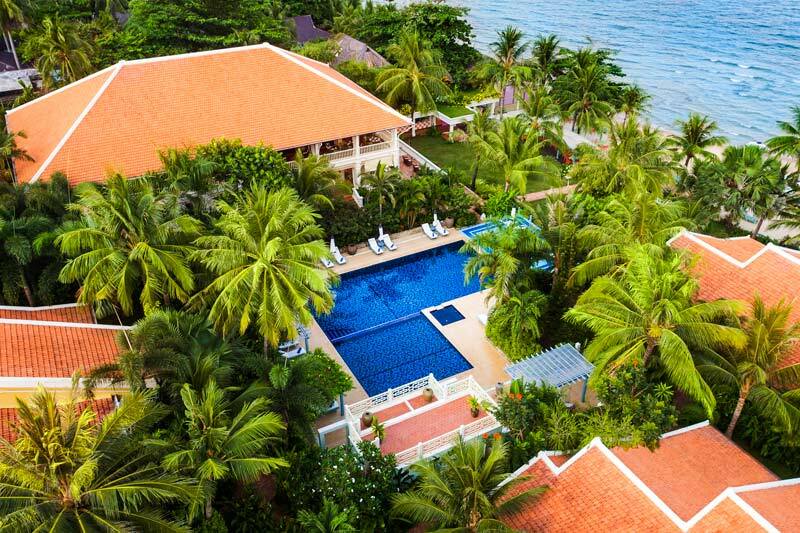 Centrally located on Duong Dong Beach on the west coast of Phu Quoc Island, La Veranda Resort enjoys calm seas and protection from typhoons. The Gulf of Thailand is known for its prized turquoise blue colour, which creates a stunning contrast to La Veranda’s signature yellow buildings. The private beach in front of the resort has clean white sand and shallow water. Being on the west side of the island also means that the guests at the resort can enjoy incredible nightly sunsets. There are typically as many as 12 flights every day between Ho Chi Minh City and Phu Quoc Island. In addition, there are now direct flights from Bangkok to the island two times per week. The flight is a mere 1 hour and 45 minutes. La Veranda offers a complimentary shuttle bus service from the Phu Quoc International Airport, a mere 10-minute drive from the resort. It is also centrally located near attractions such as the night market, the cable car and Ho Quoc pagoda. Choose your view - garden or ocean - and the rest is up to personal preference. Would you like a private garden overlooking the beach? Choose the La Veranda Ocean View Villa. Looking for the most romantic room in the resort for a special vacation with a loved one? 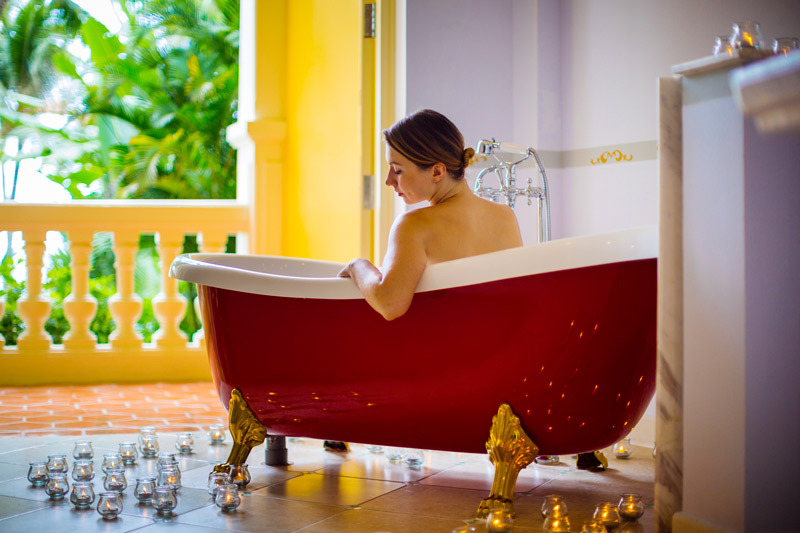 In the Memorable Premier Ocean View room, you can sip champagne while soaking in the unforgettable Bordeaux coloured clawfoot bathtub. The Junior Suite Ocean View is best for families who may like to add an additional bed or two to their room. This light-filled haven has plenty of space to relax. Garden view rooms are not to be overlooked. Imagine sinking into a feather-down bed and seeing nothing but lush greenery and blue skies. Each of the Garden View rooms—Premier or Premier Executive—have private terraces or balconies with panoramic views. The Classic Villa Garden View has access to a private garden and a deep soaking tub in the bathroom. Every beautifully appointed room comes complete with luxurious linens, free Wifi, iPod docking stations, air-conditioning and nightly turn-down service. 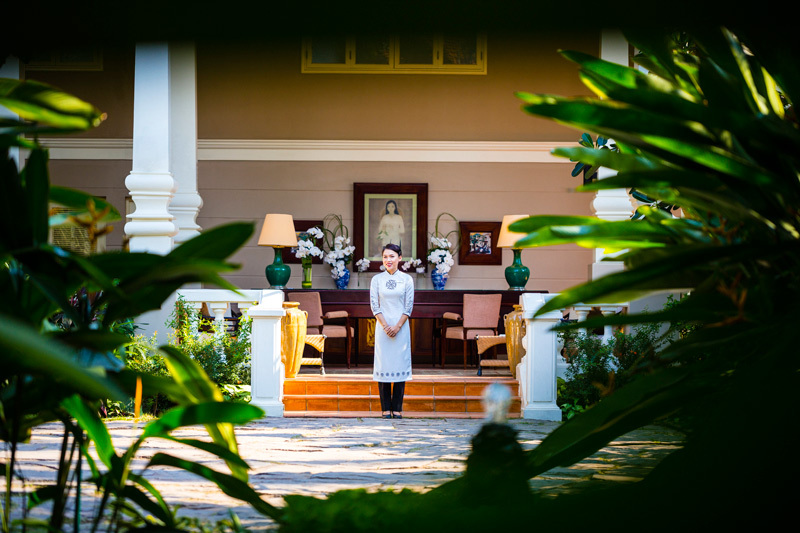 Staff dressed in immaculate white ao dai tunics are readily available to welcome you to the resort, assist you at the restaurants, bring towels when needed and think of your every need (often before you do). With only 70 rooms in the resort, La Veranda is a true boutique property whose petite size aids in the feeling of personalised attention from the staff. 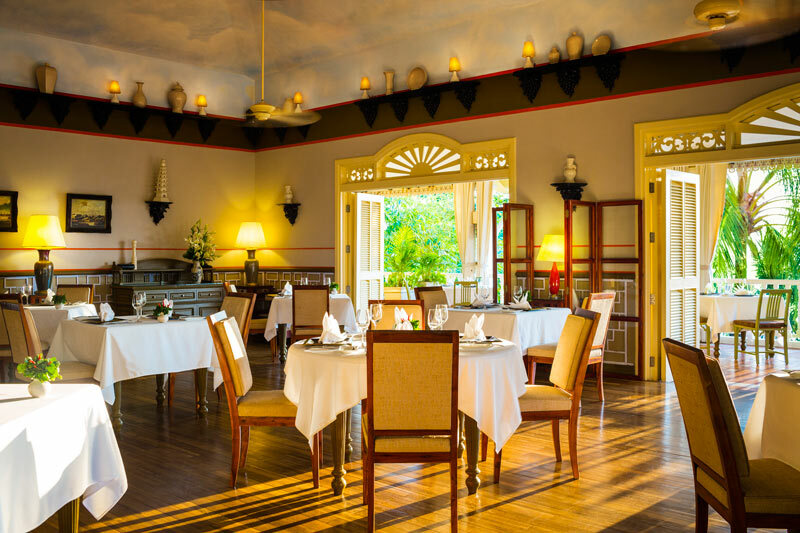 Discreet but attentive, the staff at La Veranda gets top marks for excellence. 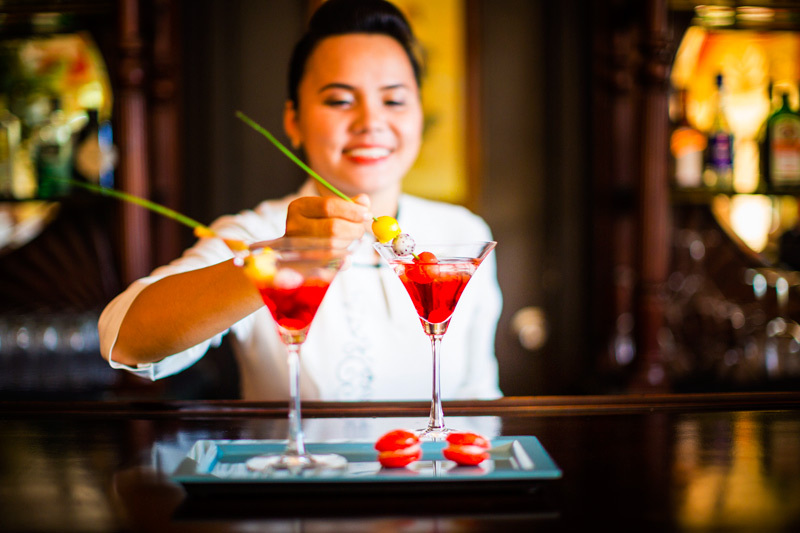 The atmospheric Pepper Tree restaurant is the most renowned dining option on Phu Quoc island. Sophisticated lighting and elegant furnishings complement the incomparable sunset views from the wraparound terrace. 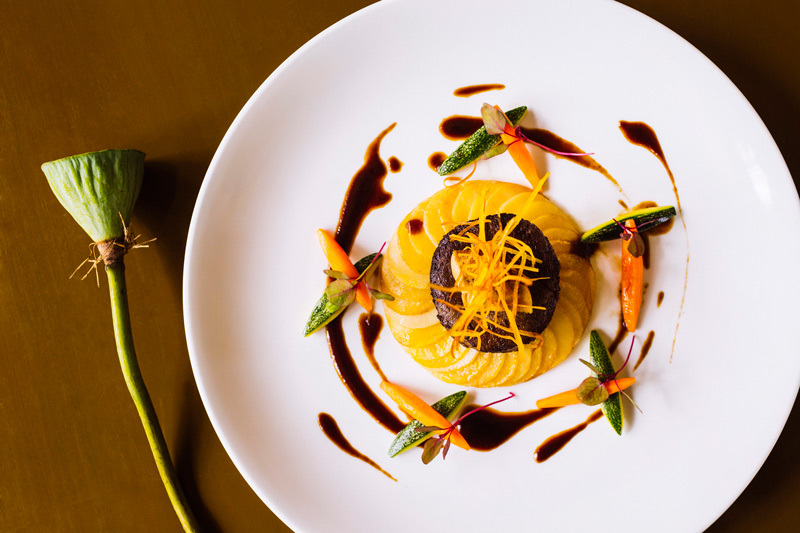 The restaurant’s award-winning chefs have concocted an innovative menu of international specialities and Pacific Rim cuisine. The Pepper Tree is also home to the resort’s delicious breakfast buffet. Le Jardin is a casual chic dining option located on the lawn and beach deck. Surrounded by the phenomenal view, the restaurant is an ideal choice for couples looking for a romantic oceanfront experience or for families who would like a little more room for their barefoot children to play on the grass between courses. International options including healthy salads and copious main courses are sure to please all. Le Bar is set to become a stand-alone venue on the island for nightly live music entertainment in a classy lounge setting. Expertly crafted cocktails and a wide selection of wines and spirits can be enjoyed along with the seductive ocean breeze. The concept of the TĨNH Wellness Sanctuary is to create a haven of health and relaxation on Phu Quoc island that doesn’t exist anywhere else in Vietnam. Inspired by the famous wellness retreats located in Thailand, India and France, La Veranda’s TĨNH Wellness Sanctuary will feature packages for complete renewal in calm and luxurious surroundings. These packages are called “journeys” for a reason. More than a simple day of relaxation, each package will take your body on a voyage through organic dining, health and wellness classes, rejuvenating signature treatments and personal assessments to help guests get the most out of their trip, and to help maintain health routines post-vacation. Stand-out features in the 1500 square metre sanctuary include access to the resort’s organic garden; a juice bar with cold-pressed juices, green smoothies and health tonics; full room and board with wellness cuisine especially created for detoxing; classic treatment rooms plus spacious and elegant VIP rooms that span 55 square metres each; full spectrum infrared saunas; Swedish saunas, steam rooms and hydrotherapy; organic beauty salon & nail bar; and wellness library. In addition, to these top of the line inclusions there is also a salt water swimming pool available for guests. In addition to the aforementioned children’s menus, La Veranda resort has a host of activities and special touches that are guaranteed to make any kid feel like a star. Pint-sized spa robes and sandals are included in the rooms so that the mini-mes can feel just as taken care of as mom and dad. Turn-down service offers a host of nightly surprises such as rubber duckies in the bath, teddy bears on the bed, and personalised cookies and bottles of chocolate milk at bedtime. There is also a selection of lawn games near the pool (which has a large shallow section for parental peace of mind). The games include massive lawn checkers and tic-tac-toe in addition to croquet and horseshoes. The vibe is Alice in Wonderland on a beach vacation. La Veranda Resort follows the guidelines of AccorHotel’s Planet 21 sustainable development program. The program is built around 21 commitments to the environment and community such as reduced water and plastic waste, environmentally-friendly lighting, CSR responsibilities and more. Grass straws are used instead of plastic throughout the resort, towels and linens are changed only every three days or at the guest’s request to reduce water waste, and the pool is purified with salt rather than harsh chemicals. In addition, the resort has created an on-site organic garden fertilised with composted food waste from the restaurants. La Veranda’s lost in time architecture, service details, luxurious amenities and spectacular location make this beach resort a destination that should be on every world traveller’s bucket list.